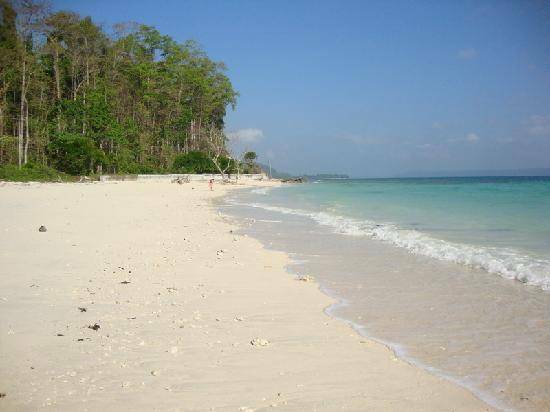 Being located on the one tip of Havelock Island, Kalapathar Beach is named after a Black Road (Kalapathar in hindi) which runs parallel to the seashore. Other side of this road has green tropical vegetation. There is a village nearby this beach and it is also termed as “Kalapathar Village”. Better be careful of sharp rocks and high tides in this beach while you are playing in its pristine sea water. The beach is best at its nature as there are hard to find any humans in its vicinity.